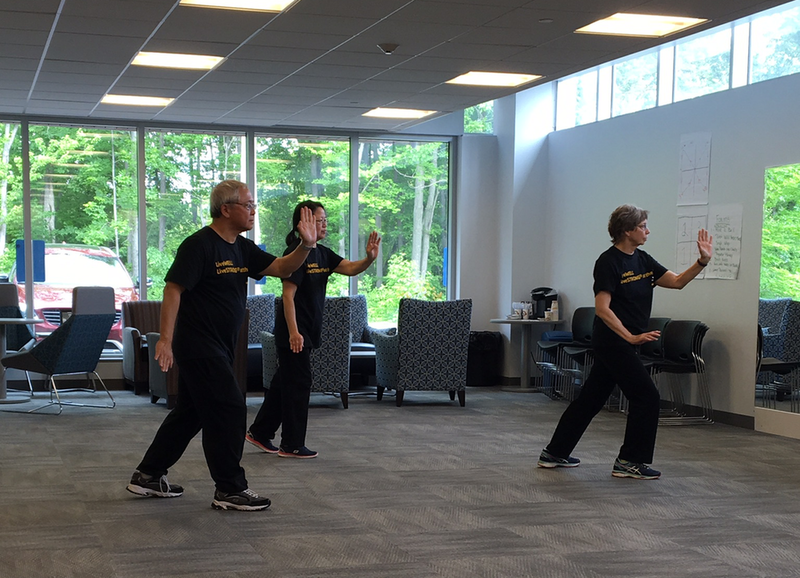 Building from the traditional forms of tai ji quan, Tai Ji Quan: Moving for Better Balance® , or TJQMBB, is an ideal class for anyone who needs to improve stability, mobility, balance, and lower body muscle strength. Many people, especially seniors and those recovering from illness or injury, need a class that will help them improve muscle strength, balance, flexibility, mobility and daily functioning, while reducing the risk of falls in older adults and individuals with balance disorders. TJQMBB moves the focus from strictly exercise towards a more holistic approach that incorporates better health habits and rehabilitation of common, but potentially debilitating, functional physical ailments. Our TJQMBB program runs as a 24 week session. Next session starts in March 2018. Contact us for availability.